Preeclampsia Foundation Canada has announced that Brian Cox and Stephen Renaud are the first recipients of the 2016 Vision Grants. The grants are highly competitive monetary awards, recognizing the best young investigators with novel research ideas in preeclampsia and related hypertensive disorders of pregnancy. The two $20,000 research grants are awarded to the strongest scientific proposals recommended by the Preeclampsia Foundation’s medical advisory board. The Foundation’s Board of Directors renders the final decision on those recommendations. Dr. Stephen Renaud obtained his Ph.D. from Queen’s University in Kingston, Ontario before pursuing post-doctoral studies at the University of Kansas Medical Center in Kansas City. He is currently an assistant professor in the Anatomy and Cell Biology department at the University of Western Ontario, and an Associate Scientist at the Children’s Health Research Institute in London, Ontario. The goal of Dr. Renaud’s research, entitled “Natural Killer cells and Preeclampsia”, is to decipher the early events that precipitate preeclampsia. Dr. Brian Cox has conducted research in academic (University of Guelph, Tanaenbalm-Lunefeld Research Institute, Hospital for Sick Children), industrial (Affinuim Pharmaceuticals) and government (Health Canada, Environment Canada) laboratories. His projects spanning atmospheric chemistry, estrogen receptor biochemistry, mass spectrometry based proteomics and mouse genetic models. He completed a MSc in applied Biochemistry from the University of Guelph, and a PhD in Molecular and Medical Genetics at the University of Toronto with Dr. Janet Rossant. In 2012, he became an assistant professor in the departments of Physiology, and Obstetrics and Gynaecology at the University of Toronto. He holds a CRC tier II chair in fetal and maternal health, is an editorial board member of the journal Placenta and an advisor to the NIH Human Placenta Project. Dr. Cox’s research is titled “Gene Regulatory Models of Preeclampsia.” He says, “My approach to science is observational, I find systems biology a natural way to engage in a holistic investigation of biology. Sometimes a single disease with common symptoms among patients has many different causes. It is only when the different causes are understood that treatments can be developed as each cause may require a different treatment." His research on preeclampsia is aimed at identifying these different causes. In a pregnancy the placenta and the mother communicate using proteins and other molecular signals to regulate the pregnancy. For this reason the same placenta can have different effects on each mother as they can respond differently to the same signals from the placenta. His research is investigating both the placenta and the maternal responses to understand why preeclampsia is mild in some patients and severe in others. 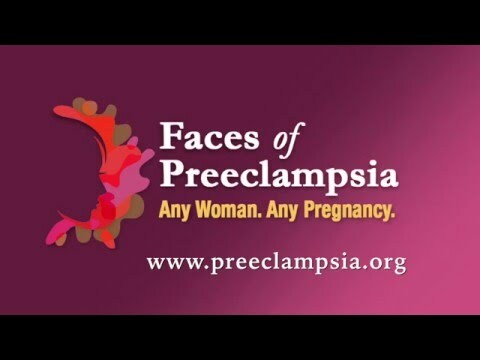 Dr. Cox, says, “understanding how preeclampsia can be mild or severe may provide clues to treating preeclampsia."